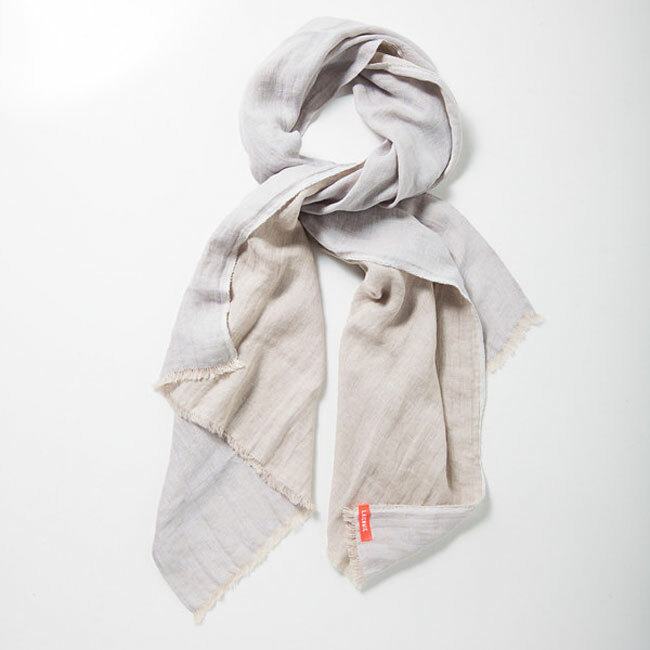 You will love this beautifully soft, generously-sized natural linen scarf. The natural texture and variation of linen is unmistakable, and stunning. The two tone weave gives you a really versatile accessory - choose either the natural linen colour to be on show or the subtle pale blue. Scarf measures approx. 68cm x 212cm. Double gauze has an elegant simplicity and soft feel made possible by ingenious construction. It is, very simply, two layers of gauze tacked together at regular intervals with undetectable stitches, allowing the two layers to behave as one. The loose weave creates a breathable, airy fabric which is oh-so-soft, while the double layer lends weight gives shape. Double gauze drapes like shot cotton or light-weight linen. It wrinkles from wear and has the gorgeous rough linen texture. Flax is one of the oldest fibres in the world. 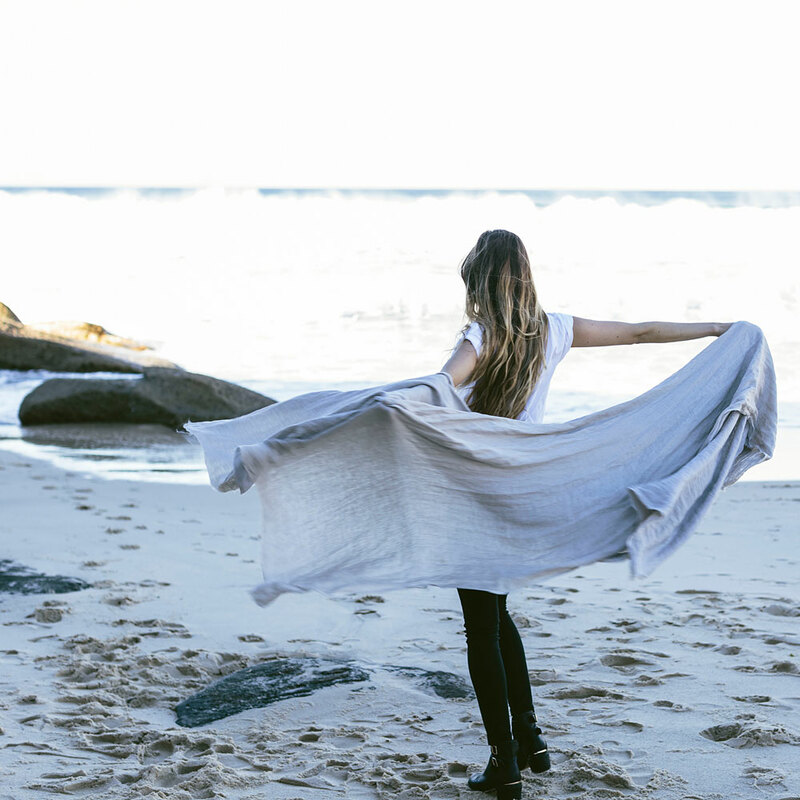 Since early times, linen has been reputed to possess healing properties, scientifically proven by modern studies to help cancer patients heal post op. 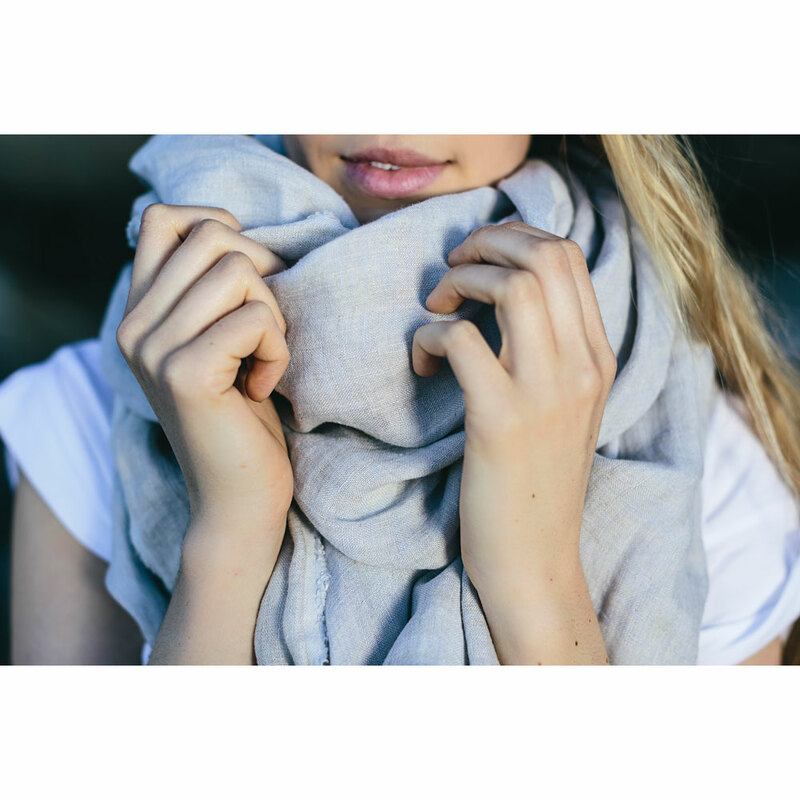 Allergy-free, linen absorbs humidity, allowing the skin to breathe. It can absorb up to 20 times its weight in moisture before feeling damp. 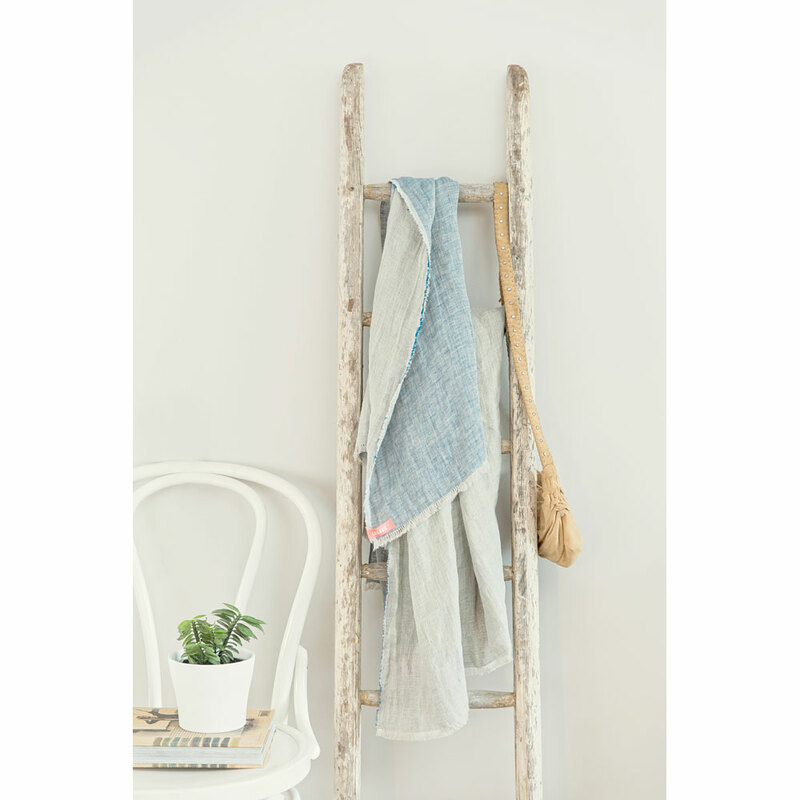 Linen is antistatic, antibacterial and, with low elasticity, it won’t deform: wash it over and again without alteration. Linen just gets better with age. 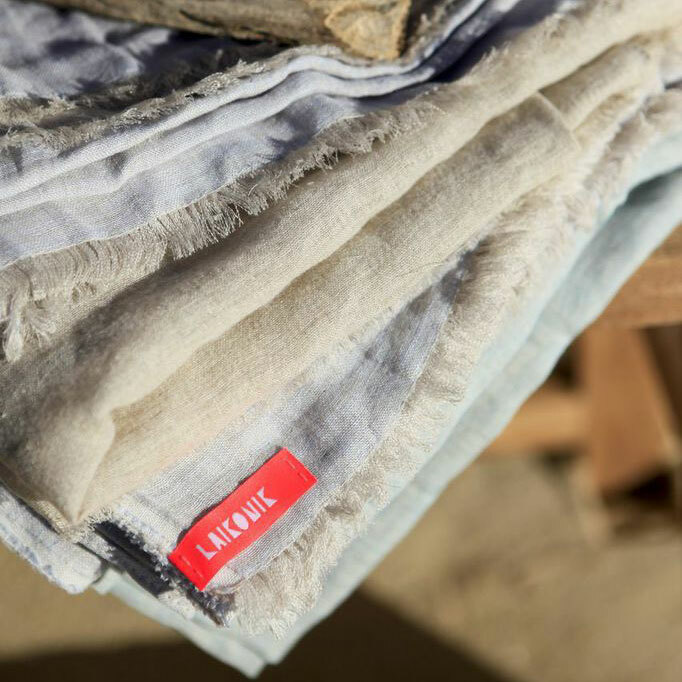 Linen not only looks and feels exquisite, it is naturally non-allergenic, anti-bacterial, resistant to rot and mould, and the strongest of all natural fibres. Its scientifically indicated healing properties include assisting post-operative patients to heal twice as fast as those wrapped in cotton. A renewable resource requiring little or no irrigation and few pesticides. A truly superior product. Our highest quality linen is sourced from an exclusive family run mill in Japan. Certified by the European masters of linen. Use only natural detergents, no harsh chemicals. Remove spot stains with a mild soap solution and a warm damp cloth. Dry in the shade. Wrinkles will straighten over time under its own weight or hang in the bathroom for an easy, gentle steam.